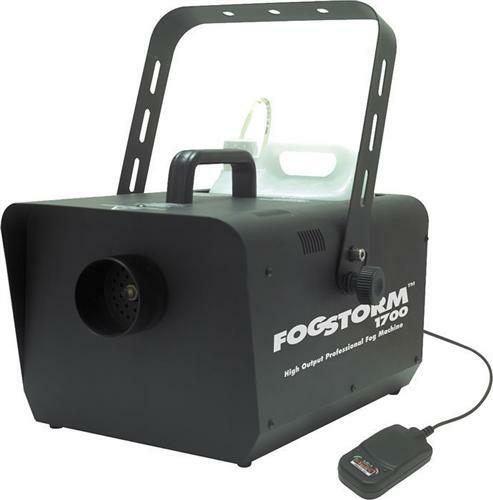 1,700W high-output professional fog machine with Electronic Thermo Sensing (ETS). Electronic heater stays hot at all times with no warmup time between fog blasts. Warmup time is eight minutes. The advanced heater system has a large cooper tube to prevent clogging. A low-fluid LED indicator stops pumping when fluid has reached the minimum level. External fog control switch. Includes a 15' cable remote. 15,000 CFM fog output. 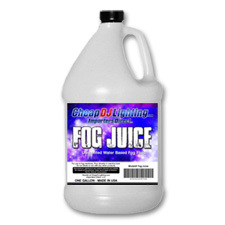 5-liter removable fog fluid tank.